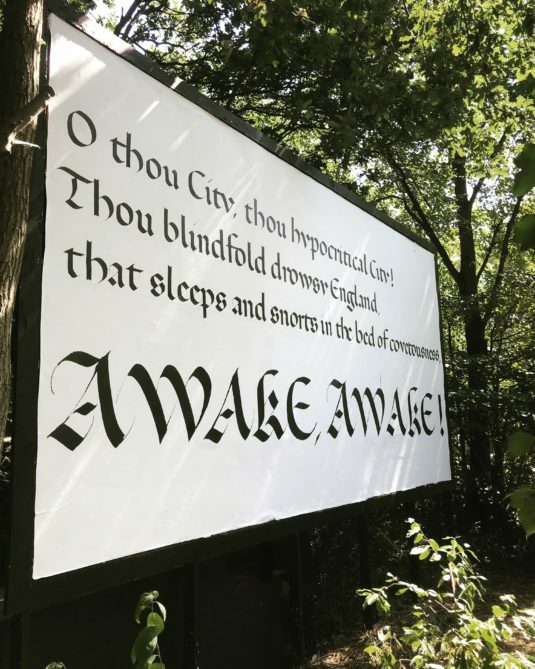 A large billboard hoarding has been installed within the South-West corner of the Bethnal Green Nature Reserve, hosting an evolving and eclectic series of interventions by contemporary artists. The billboard is intentionally incongruous within the overgrown site, aiming to challenge ideas of use, value, resilience and the function of wildness within our urban ecosystem. Recent billboard artists include Lu Williams (Grrrl Zine Fair), Vanessa Kisuule, Ruth Ewan, Randy Amoakohene, Amy Feneck & Ruth Beale.